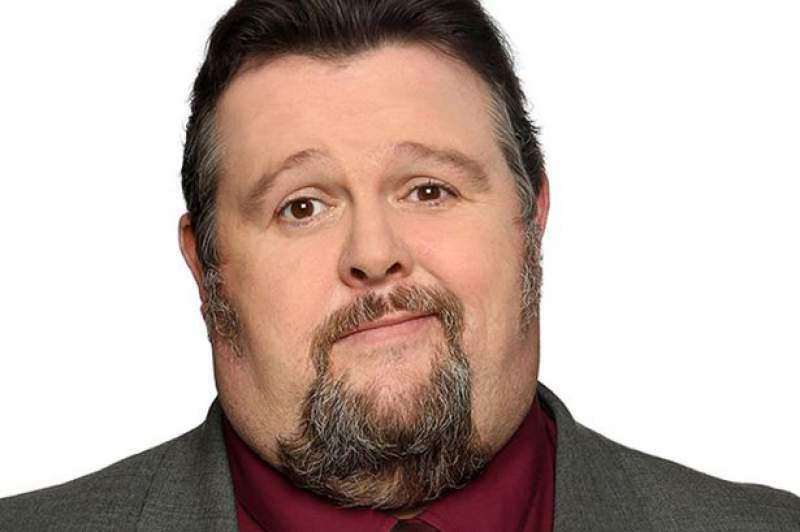 You’ll probably have seen him as Big Keith in BBC’s Hebburn but Steffen Peddie has been a regular on the stand-up circuit for some time. Now he’s brought his show 99 Problems And The Chips Aren’t 1 to Jesterval to show off his comedic credentials. The twist to this show is that there’s nothing prepared; it’s all reliant upon audience members writing down questions, which a random audience member then reads out and waits for Steffen to answer (or solve). To be fair, Carol (or was it Denise?) played her part well. With this concept there are no guarantees but Peddie is well-liked enough for the audience to understand the natural ebb and flow of the show, moving from affable to funny and back again several times. Topics ranged from the Kardashians, to licking windows to neutralise charvers on the Metro, to why negative numbers can’t have square roots (apologies for the slight delay but I’ve just Googled that last one and my head exploded). At final count Peddie “owed” two people a bag of chips and whilst I think it’s fair to say we weren’t dealing with a Geordie Richard Pryor here, the audience were more than happy with the laughs he did deliver.